The early and intense commitment of Chicagoan Clarence Buckingham (1854–1913) to the Art Institute formed the museum’s well known Japanese print collection. From the 1890s, Buckingham, assisted by advisors such as curator Frederick W. Gookin and architect Frank Lloyd Wright, assembled a collection of Japanese woodblock prints of exceptional quality and range. Highlights of the collection include rare early ukiyo-e images, an unparalleled group of works by Sharaku, and superb examples of Hokusai's designs. 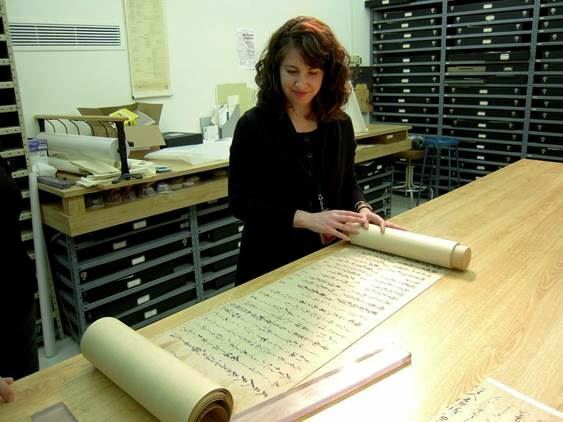 Janice Katz is the Roger L. Weston Associate Curator of Japanese Art at the Art Institute of Chicago, and has been with the museum for over 13 years. She received her Ph.D. from Princeton University in 2004. Her research focuses on paintings from the Edo period (1615–1868) and the history of art collecting in Japan. She was the primary author of the catalogue Japanese Paintings in the Ashmolean Museum, Oxford (2003), and the organizer of the exhibition Beyond Golden Clouds: Japanese Screens from the Art Institute of Chicago and the Saint Louis Art Museum (2009), which traveled to St. Louis and San Francisco. She received the Japan America Society of Chicago 2009 Cultural Achievement Award. The evening will begin with refreshment and a networking reception.